A leader in stock photography, Dreamstime uses various marketing tactics and policies to sustain sales growth by widening its reach to new audiences. More viewers of our images mean more potential customers. Consequently we have initiated a series of strategic alliances and partnerships with major companies for the purpose of substantially increasing exposure of Dreamstime's contributors' images. These partners operate on specific vertical markets that expose the images to new and far reaching buying markets. This additional resource is, however, optional. Should a photographer not want to participate or there are contract conflicts (i.e. a previous contract may be in place that forbids selling content in a certain way or to a specific market), there is an opt out button to be selected. 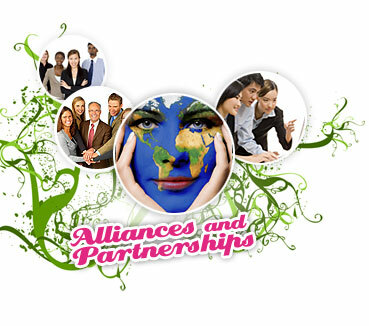 All partnerships are required to follow the usage rights of our terms and conditions. Sales that occur on our own site award the royalties from the sale price. Some of these partnerships will award the regular 25-60% royalties to the contributor from the agency's share, while other alliances will still award them based on the sale price. This flexibility allows us to reward our partners for their considerable technical and marketing investments in presenting Dreamstime content to new markets, increasing images exposure and expanding the number of buyers. Remote third party prices are credit based and subscription downloads are not available on their websites. Extended licensing is available and updates are made in real time or in 24 hours maximum. Buyers referred by third parties channels who use our site to download images have access to all payment plans available at the purchase date (credit based, monthly subscription, referral program, extended licenses etc).